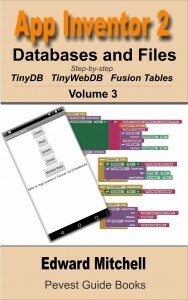 Google created a cloud-based data base system called Fusion Tables. 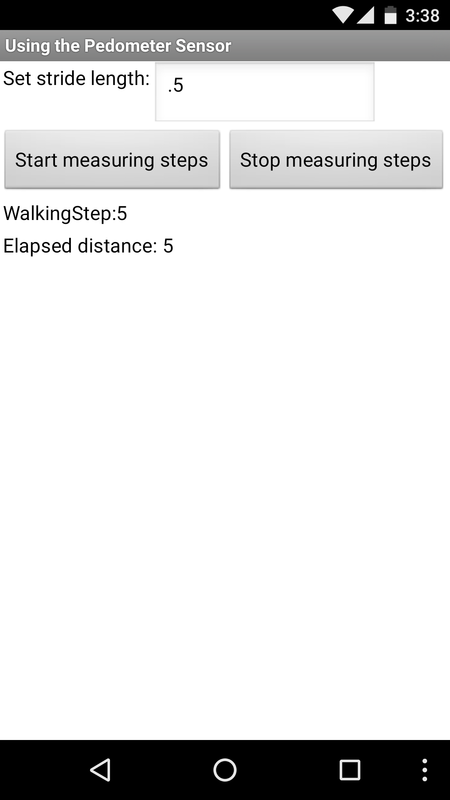 Later, support for Fusion Tables was added to App Inventor. Google has sent out an email advising Fusion Tables users that they will be discontinuing Fusion Tables – literally, the database service will go away on 3 December 2019. If you have used Fusion Tables, you will need to update the code to use a new data base system. You might consider third-party App Inventor-based development systems such as Appy Builder. Learn about alternative toolsSeveral new Google tools have been developed over the years, and we encourage you to visit the Help Center to learn which ones fit your use-case. Teams at Google have developed internal tools that can create powerful map visualizations. We are working to make some of these tools publicly available and will have more to share in the coming months—sign up to stay in touch. Download your dataFilter by “type:table” to pull up a list of your tables in Google Drive. Download data from an individual table by following these instructions. If you have a lot of tables, we will make it easy to download all your data in one step via Google Takeoutstarting in March 2019. Thank you for supporting Fusion Tables over the years. If you have feedback, visit the Fusion Tables Help Forum. 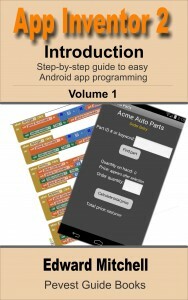 I prepared a PDF file that presents a quick look at all the App Inventor blocks. I posted this a long time ago but its still available and very useful! This can help you find specific blocks in the Blocks view editor. MIT App Inventor supports apps having multiple screens, but due to the way that App Inventor is implemented, they recommend that apps have no more than 10 screens total – or risk running out of memory or seeing the Blocks editor crash or hang! They have a page of information about this issue and you should look at that if you are writing an app with more than about 10 screens. They suggest it may be possible to simulate multiple screens using just one extra screen, depending on the application. They provide hints as to how to do those hints may be insufficient for new App Inventor programmers. A reader asked for help on this so I created this tutorial. Since this app has two screens, this tutorial is split into two sections, one for each screen, and then a third section discussing optional modifications. 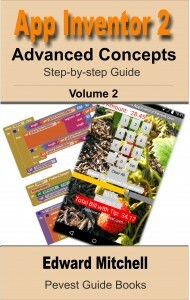 This demonstration app features 4 buttons – the first button displays “Screen 1”, the second button displays “Screen 2” and so on. These buttons could have any label on them appropriate for your application, such as “Register Account”, “Reserve a space”, “Display reservations” or what ever make sense for your app. Pressing Screen 1 displays this screen – note the label at the top and the photo on the page. This screen appears when pressing Screen 3. Note that the text label references Screen 3. The button Do Something! is a placeholder for adding code to do something unique for this screen. For this application all it does is close the screen and return to the main app screen, Screen1. Can App Inventor have a button or control that rotates on screen? A reader asked: Is there is a way to have a control, such as a button, rotate on the screen? With a simple trick, the answer is Yes! The trick is to use ImageSprites that are made to look like buttons. Then, instead of .Click event handler, as used on a Button, we use one of the “touch” events defined for the ImageSprite class. To rotate the sprite, change the sprite’s Heading property. Easy! If you would like to learn more about ImageSprites, please read my online tutorial “Using ImageSprites for animated App Inventor Graphics”. 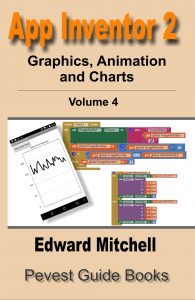 I’ve also written an inexpensive 227 page e-book all about graphics, animation and charts available from many online e-book outlets. You may find that text helpful to you as well. The tutorial is shown here as a video – or page down for a written version of the tutorial. Creating the user interface is the same as creating other App Inventor user interfaces – except we use a graphical drawing area called the Canvas and add an ImageSprite to the Canvas. Does your device support Bluetooth LE? Here is how to find out. See Part 0 for a brief introduction to this series and Bluetooth LE plus our past tutorial series on classic Bluetooth for communicating between Android devices, and between an Android device and an Arduino board with external Bluetooth transceiver. Does Your Device Support Bluetooth LE? To find out if your smart phone or tablet can work with Bluetooth LE: Go to the Google Play store and install the free app “BLE Checker” on your Android device. The app is simple – it tells you whether your device supports Bluetooth LE or not and that is all it does. 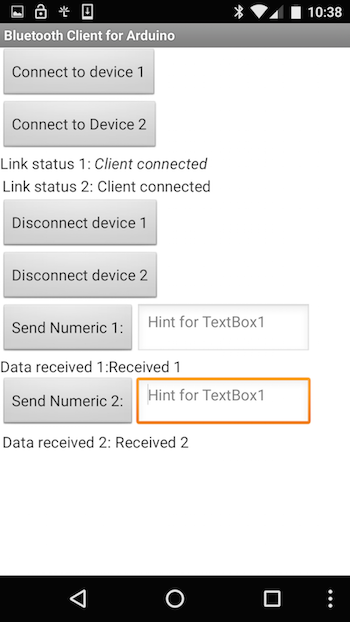 Devices that support Bluetooth LE will support BLE connections between compatible devices. However, this app does not tell you if your device supports a special BLE feature called “advertisements”. 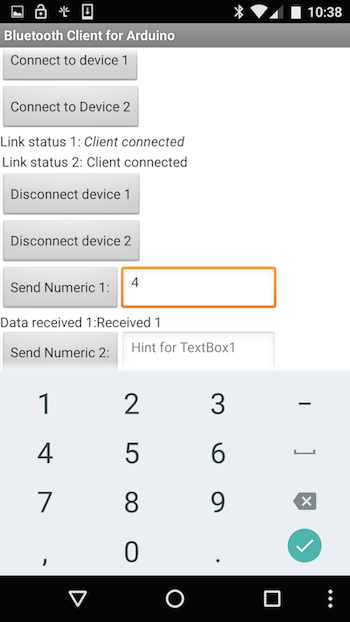 You can use Bluetooth LE without the “advertisements” feature but you will not be able to use all BLE features.